The country's largest e-commerce company Flipkart wants users to share product images and chat with friends while shopping on its mobile app. Flipkart says that the inability to shop collaboratively is the topmost barrier to mobile shopping. "Shopping is primarily a social activity and going for it with friends and family has been the norm since time immemorial. Online shopping, on the other hand, has largely remained a solo experience. 'Ping' aims to transform online shopping by allowing users to talk to each other real time in order to make decisions and decide on what to buy!," Soni said. Ping is currently in beta mode and will be available on an invite-only basis. Every user who gets the invite will be able to forward it to ten others. "Highly advanced architecture was employed to ensure dynamic traffic surges are handled well (with Ping). It has also been optimised for efficient results even on slow 2G networks. Ping will also support Android wearables where user can read and reply to messages from their android watches," said Peeyush Ranjan, chief technology officer and head of engineering at Flipkart. Flipkart has been following a mobile-first approach as 70-75 per cent of its total traffic comes from that platform. While Flipkart continues to smoothen the experience for mobile shoppers, there is ambiguity about whether the company will junk its desktop version in favour of 'app only' usage. Techcircle had reported on July 7 that the company may adopt an app-only approach by phasing out its web presence by September. 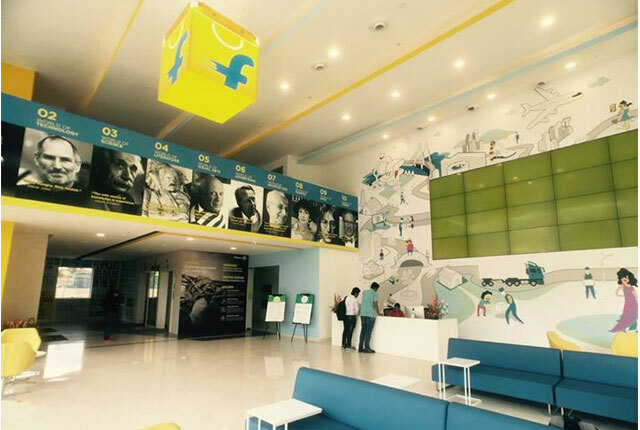 However, a recent news report in The Economic Times, quoting sources, said that Flipkart's plans to go app-only have been put on hold to so that it can assess the impact of such a shift on big-ticket categories such as large appliances and furniture. Soni also did not mention a timeline for the company to go app only. Earlier this year, Flipkart's fashion e-tailing unit Myntra went mobile only by killing its desktop presence for transactions. Flipkart has over 45 million registered users. The company aims to more than double the gross merchandise value (GMV) on its platform to $8 billion this year.